ERIE, Pa., September 23, 2018 – Martial arts flooring retailer Greatmats has paired up with Tactical Hapkido Alliance Founder Grandmaster Barry Rodemaker for a tactical hapkido technique video training series. Grandmaster Rodemaker offer tips on everything from escapes to counter strikes in the series. We don't do all of the high fancy kicks, and we don't do katas or hyungs. We do strictly self defense. 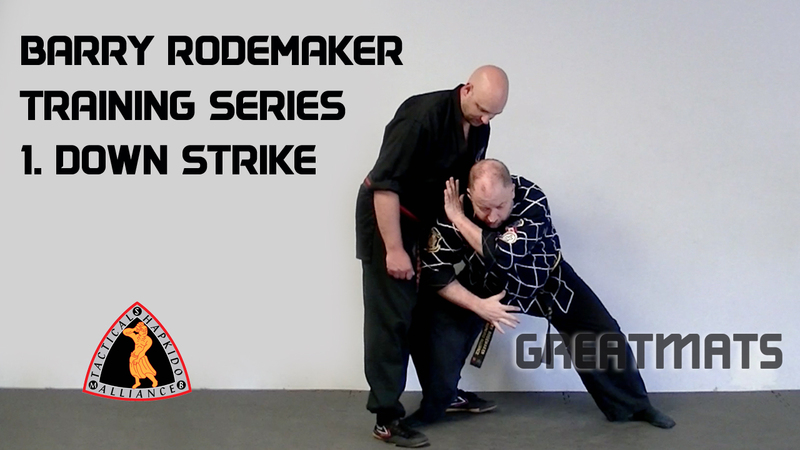 Greatmats is tentatively scheduled to release 1-2 Hapkido training videos per month. Grandmaster Rodemaker, who founded the 30-school Tactical Hapkido Alliance 18 years ago, and recently took over the reins of Black Belts of the Faith International (now Martial Artists of the Faith Worldwide), has been using Greatmats martial arts mats since 2014 at his headquarters in Erie, Pennsylvania. Check out the first two videos in the series, and watch for more to come on the Greatmats YouTube Channel.